Perry is a senior litigation counsel at Peacock Linder Halt & Mack LLP. Perry has over thirty years experience in a broad litigation, arbitration and mediation practice. He has appeared as counsel in administrative and regulatory hearings, at all levels of Court in Alberta, the Federal Court of Canada and the Supreme Court of Canada. Perry’s counsel work has covered a wide diversity of private and public law matters. His clients have included commercial, governmental, insurance, regulatory, professional and individual interests. Perry has an extensive private mediation and arbitration practice that has involved a variety of disputes involving construction, corporate commercial, professional liability, class action and personal injury. Perry is consistently peer ranked as a leading litigation counsel. 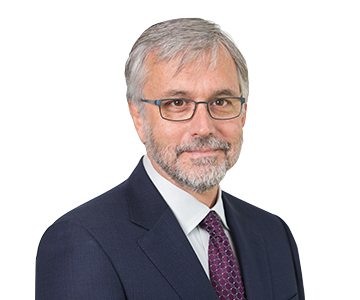 He is described in the Annual Lexpert/American Guide to the leading 500 Lawyers in Canada as a leading practitioner in corporate commercial litigation. Chambers Canada, Benchmark Canada and Best Lawyers have described Perry as leading counsel in Alberta. Martindale-Hubbell has designated Perry its highest rating for professional ability and ethical standards (AV). 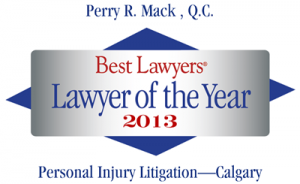 The publication Best Lawyers in Canada awarded Perry the distinction Calgary Lawyer of the Year (Personal Injury) in 2013 and Calgary Lawyer of the Year (Alternative Dispute Resolution) in 2017. 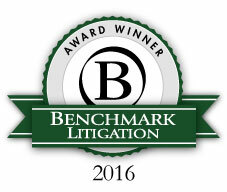 In 2016, Benchmark Canada awarded Perry the distinction Alberta Litigator of the Year. Perry is a Fellow of the American College of Trial Lawyers. Perry was appointed Queen’s Counsel in 2002. He is a three time elected bencher of the Law Society of Alberta and served as President of the Law Society of Alberta in 2008. Acted as independent counsel to professional regulatory bodies and tribunals.